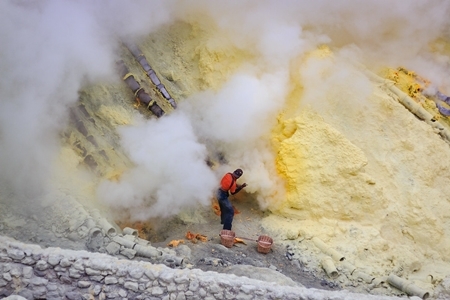 A complete package of a tour is offered in Yogyakarta Bromo Ijen Tour Package. There are many reasons to visit Yogyakarta. Travelers will be lost in time as they visit many ancient temples in Yogyakarta. Borobudur never fails to captivate people who come to Magelang, a district nearby Yogyakarta. While visiting Borobudur, tourists can stay in the villagers’ house in Candirejo Village. It is a traditional village that offers a real villager’s life. Travelers can join their rice cultivating activities. Besides, people can play in the river nearby. The scenery is amazing as well. And the most important thing is that they can learn how the villagers live. The visitors can eat and talk with the homeowners at any time. That will make this a real exotic tour in Indonesia. Bromo ijen blue fire tour will give tourists great pictures to upload in their social media account. After that, the Lava tour is ready to entertain the visitors. Lava tour is quite new enjoyment in Yogyakarta. However, travelers will enjoy the jeep riding tour while taking pleasure in the wonderful landscape. Next, the alternative tour of Pindul Cave is waiting for the travelers to explore. The tour offers a cheap tubing tour that go through the river stream. The journey will pass a river in the middle of cave. It will be a great pleasure for people who are thirsty for adventure. Families, group tours, and even solo travelers will love the destinations. Yet, the thrilling experiences will never be enough. Tourist need to make it extended to East Java. Malang Bromo Ijen Tour is the next stop. Bromo tours are arranged in flexible packages to help travelers feel contented while spending their time in Java, Indonesia. The Bromo Ijen tour from Yogyakarta is only one of the exciting packages. It helps travelers to choose the best itinerary that fits their schedule from Yogyakarta tours. In addition, travelers can take a single tour to Bromo with the midnight tours and sunrise tours. Some busy people can use the packages well. Both tours will take only 12 hours. Meanwhile, Yogyakarta Bromo Ijen Tour Package takes more than a week. In addition, Malang Bromo Tour is also offered. The tour includes Malang tour destinations such as waterfall, rafting, and beaches tours before Bromo volcano tours. Besides Mt Bromo sunrise tour, travelers can check in some spots around Bromo within low rates only. Bromo tour packages also include the tours to several amazing places in Batu if travelers want to make it extended. Malang does not have so many heritage tours but the natural wonders are amazing. But still, those who want to visit some temples and dances of Malang can arrange a schedule with those attractions. In Batu, the eco-based park is available. Besides, many gardens and agro tours are available in Batu. After spending a long tour in Yogyakarta Bromo Ijen Tour Package, the Batu tour will be a refreshing one. Ijen has the beauty that will need to explore in more than just a day. This package will be a great choice for sunrise tours, soft trekking, and blue fire hunting. Besides, travelers can make it more exciting by adding some destinations in the itinerary. It is easy now to arrange the tours since tourists can book the tours through the online site. Reputable tour and travel agent such JavaTravelline will be a good partner for the tour. In addition, Yogyakarta Bromo Ijen Tour Package is offered. The shortest package is a week. Bromoijen tour and travel agents also offers long holiday services of Bromo Ijen tours in 4 days and 3 nights. That will include the tours in Kalibaru Banyuwangi, Sukamade beach, and some other destinations. Joining Bromo Ijen blue fire tour will give travelers a great memory. They can visit magnificent places with a wonderful view. Besides, travelers will learn about the cultures. After visiting Yogyakarta, the experiences in Malang and Ijen in Bondowoso will be a little bit different. 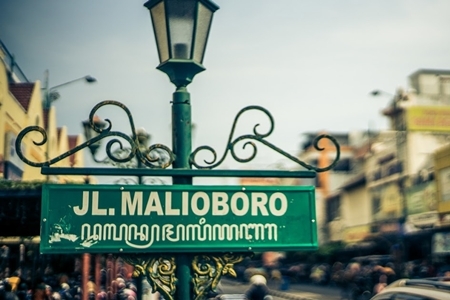 Though the areas are still in the same island, Central Java, Yogyakarta, and Malang have different Javanese people. In Bondowoso and Banyuwangi, the ethnic are totally different. Touring in Indonesia will be an amazing journey. Yogyakarta Bromo Ijen Tour Package in Java will never be disappointing since all of those destinations have amazing beauty. Besides, the prices are affordable for the amazing journey and excellent services. Go visit the site!